What does a RMT do? RMTs are trained to evaluate individual health needs, and provide active and passive techniques for complete patient care. They provide and accurate assessment, differential diagnosis, and prognosis of specific soft tissue and musculoskeletal conditions. They act upon the muscular, nervous, and circulatory systems to improve health. 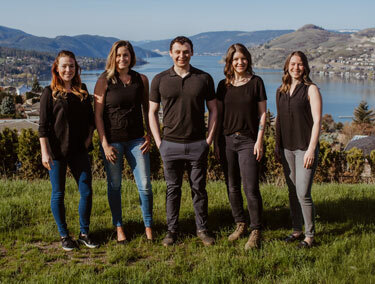 British Columbia’s Registered Massage Therapists (RMTs) undergo the most comprehensive training in North America, which consists of a three year, 3000 hour commitment. RMTs are regulated and licenced in British Columbia under the Health Professions Act. RMTs are primary health care providers with MSP and other health insurance coverage. RMTs are linking research to practice, including providing evidence-based active and passive massage as well as stretching, exercise and patient education. Increasingly, scientific research supports the use of massage therapy as an effective approach in pain and injury management, rehabilitation and prevention. In BC, RMTs must complete a 3-year specialized program at an accredited college. The government approved curriculum requires rigorous study and a thorough understanding of pathology, neurology, anatomy, remedial exercise, kinesiology, physiology and clinical science. All RMTs must complete the BC registration exams set by the College of Massage Therapy of BC (CMTBC), and must continue with post graduate studies to maintain registration. RMT honor a strict code of ethics set by the CMTBC, which insures that patients receive safe, competent, and ethical care. Is there any research behind the use of massage therapy? Scientific research supports the use of massage therapy as an effective approach in pain and injury management, rehabilitation and prevention. Research shows that massage therapy is effective in reducing pain, anxiety and stress. Massage Therapy will also improve muscle strength, joint movement and a patient’s sleep and quality of life. Will massage therapy improve my sports performance? Sports massage therapy has been a time-honoured practice dating back to ancient Greece and Rome. It can be included in a training program as a pre-event warm up or post-event cool down to aid performance and assist in injury prevention. Current research proves evidence that massage therapy can reduce delayed muscle soreness and positively affect the heart rate, blood pressure and stress hormonal levels resulting in relaxation response, reduced anxiety and improve mood. Will massage therapy help with Whiplash? Whiplash is a condition resulting from an acceleration-deceleration transfer of energy to the neck. Automobile accidents, sports injuries and occupational mishaps are events that can cause this injury. Symptoms: Whiplash may result in boney, muscle, nerve and other soft tissue injuries. Whiplash-associated disorders (WAD) may include pain and numbness, muscle spasm, dizziness, headaches, and social and physiological issues. The condition can vary from mild to severe. Can massage therapy help headaches? Headaches have many causes. The types of headaches treated by an RMT include:Tension Headache: this most common headache is likely due to chemical changes triggering brain nerves and blood vessels. Migraine Headache: scientists don’t know exactly why migraines occur, but they probably result from swelling in blood vessels and nerves that surround the brain. Cluster Headache: these are intense headaches that start around one eye, then spread to nearby areas of the face. Sinus Headache: due to inflammation, usually in the frontal and maxillary sinuses. I’m pregnant. Is massage safe and helpful during pregnancy? A woman’s body undergoes major physiological, structural and emotional changes during pregnancy. Some women experience muscle and joint pain. Stress, anxiety, depression and fatigue can also be problematic for pregnant women. Pregnancy-related low back and pelvic pain has an impact on daily life for many women. A recent study has shown this type of pain is prevalent in 72% of pregnant women. Does massage therapy help with Fibromyalgia? Fibromyalgia syndrome (FMS) is a chronic widespread musculoskeletal pain disorder with patients usually having at least eleven specific tender points on both side of the body – above and below the waist, in the trunk, arms and legs. Massage can help fibromyalgia by decreasing muscle pain and stiffness, improving muscle strength, promoting relaxation and better sleep, and reducing depression and anxiety. I’m super stressed out. Can massage therapy help relieve stress? Stress is something we experience as we adjust to our continuing changing environment; it can be both positive and negative. Positive stress can encourage action, and raise our awareness and excitement. Negative stress can cause feelings of anxiety, depression, create sleep loss, anger, high blood pressure and other medical problems. Massage therapy can help reduce negative outcomes of stress and help induce relaxation. I suffer from low back pain. Does massage therapy help? Low back pain is very common but a precise cause is often not found. Researchers found that 60 to 80% of people will experience uncomplicated back pain at some time in their life. This is often due to tears of the muscles and ligaments, or to the soft “shock absorber” disc structure, which becomes damaged or degenerated and irritates nearby nerves. In these situations, massage helps to decrease pain and muscle spasm while improving function and range of motion. What if I suffer from Osteoarthritis? Osteoarthritis (OA) affects about 50% of the population. Recent research suggests is a group of diseases marked by a dysfunction of the repair of joint cartilage, especially in the weight-bearing joints such as the knees and hips. Massage helps to reduce pain, disability and anxiety while improving function, flexibility, mobility, sleep and quality of life. Is massage therapy ever used in treating Cancer? Cancer is the disease in which cells of an organ or tissue fail to respond to normal control mechanisms, growing and multiplying out of control. Massage therapy is increasingly being included in treatment programs for cancer patients at clinics and hospitals around the world. Current studies are showing beneficial effects of massage therapy, not for the treatment of the disease, but as an aid in enhancing quality of life. Does Vernon Chiropractic and Massage ever participate in fundraisers? Call us and book your appointment today!